His story: Volstagg is a member of the Warriors Three, along with Hogun and Fandral. Along with Lady Sif, they are Thor’s closest friends in Asgard, and often fight alongside him in battle. We first meet him in Thor, when he accompanies Thor to Jotunheim, the act that gets the god of thunder banished to Earth. Along with his fellow warriors, he defies Loki and travels to New Mexico, where he helps Thor and the others protect townsfolk from the Destroyer. 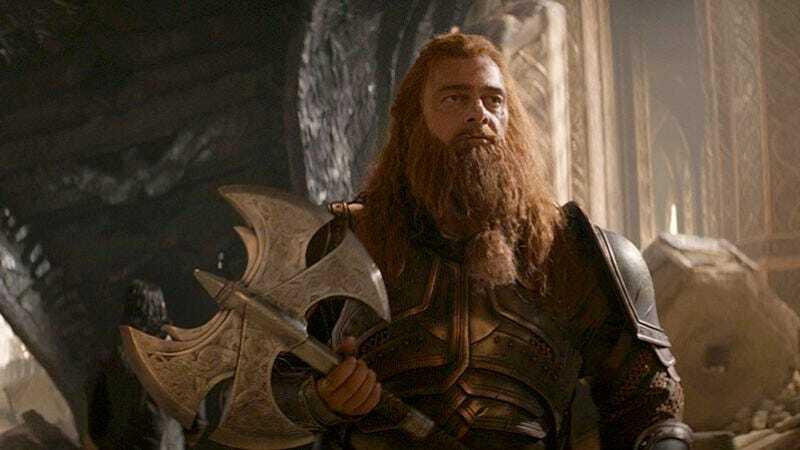 He returns in Thor: The Dark World, where, after helping restore peace to the nine realms, Volstagg aids Thor in freeing Loki from prison, in order to destroy the Aether and defeat Malekith and the Dark Elves. Currently, Volstagg is: In Asgard, as is usually the case. Where will we see him next? Uncertain, as there’s currently no confirmation the character appears in Thor: Ragnarok, the most obvious candidate.